Boxtree is the perfect setting for the bride and groom, the bridal party, a girls weekends away, corporate retreats or ski weekend escapes. The homestead sleeps 10. There are 4 bedrooms; 3 have their own ensuites. 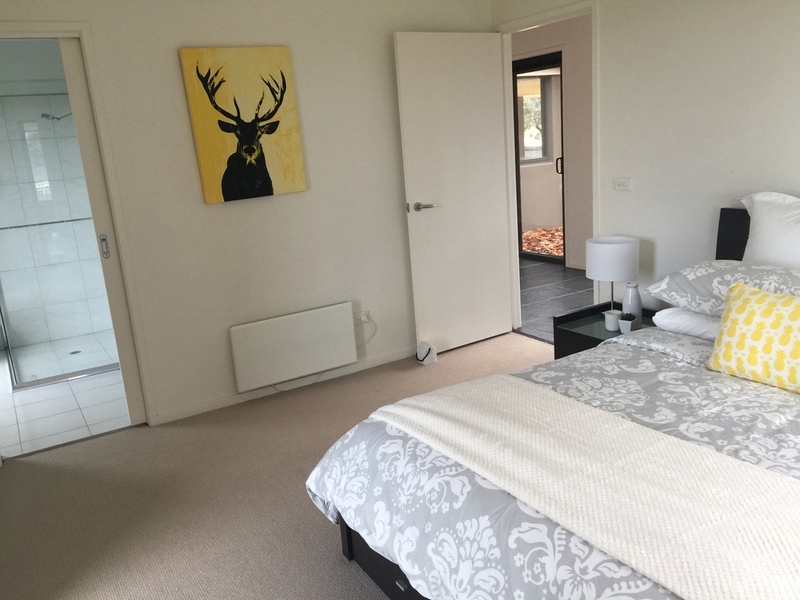 The master bedroom, also suitable as a bridal suite, is complete with views of Mt Buller, queen size bed, walk in robe, ensuite with separate shower and sunken bath. 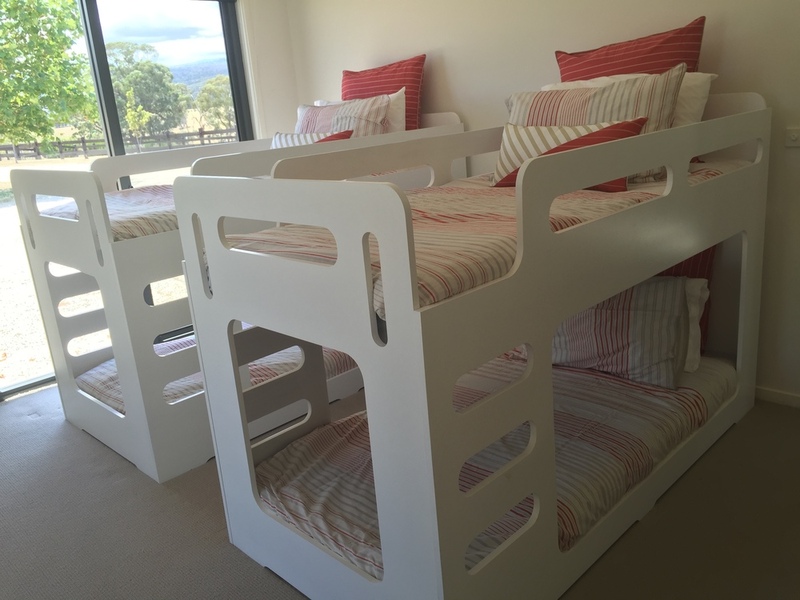 Bedroom 2 has two single beds and views of Mt Buller to the valley. Bedroom 3 has magnificent views of the high country, a queen size bed, large built in wardrobes and ensuite. Bedroom 4 is the bunk room and equipped with 4 single beds suitable for adults and children, an ensuite and built in wardrobes. There is an open fire in the lounge with a television, CD and DVD player. There is heating and air conditioning throughout. Relax on the verandas. One faces east to watch the sun as it rises over Mt Buller and Timbertop or sit on the veranda facing west and watch the beautiful and ever changing sunsets in the valley. You can also enjoy dining on the verandas. Try breakfast on the east veranda or sunset on the west veranda. 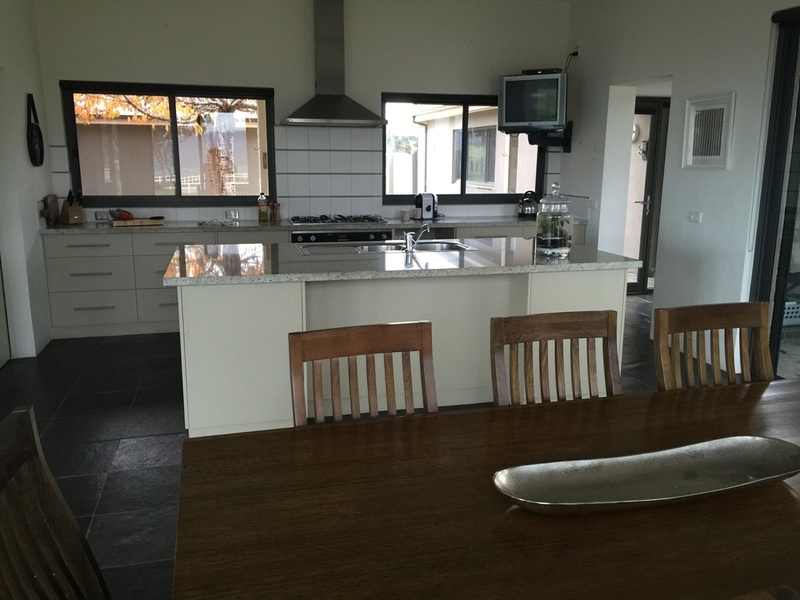 The kitchen is fully equipped with glassware, cutlery, cookware, crockery, a 5 burner gas ILVE cooktop, ILVE double oven, microwave and Bosch dishwasher; the fridge/freezer is tucked away in the walk in pantry. There is also a gas BBQ located on the east veranda. The laundry is complete with washer, dryer and outside hanging area. You and your guests can also relax in the central courtyard with an outdoor setting under a canopy of cherry blossom trees. Boxtree is self catered however we can organise catering with one of the fabulous local chefs. There are plenty of activities in the area including bushwalking, horse riding, golf, four wheel driving, fishing, bird watching or simply relaxing. See 'THINGS TO DO' page for more information. Why not host your special event, such as bridal tea, at Boxtree. 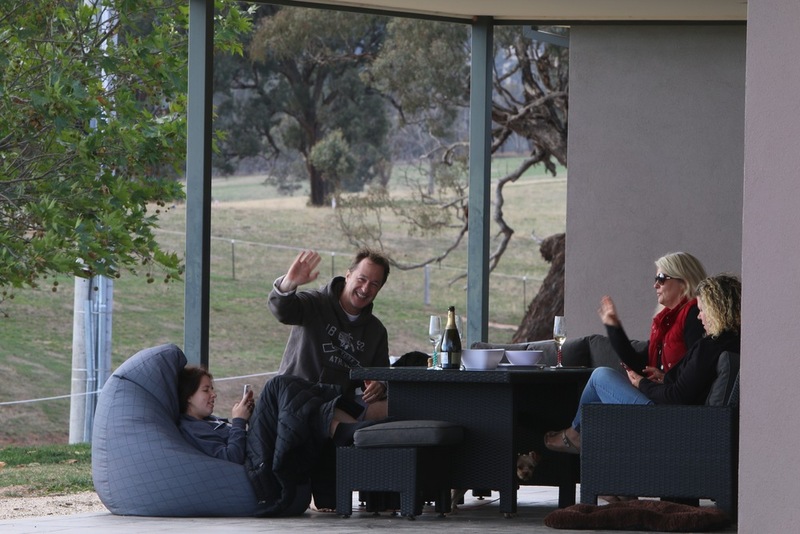 The setting is unique for you and your close family and friends enjoy each others company under a yellow gum tree on the lawn in a rural setting.